Zeroing in any of your firearms to ensure that they are as accurate as possible can be a rather long, and not to mention boring, process. Furthermore, you may have to fire a lot of bullets before you actually do manage to zero in your gun. And considering the fact that ammo isn’t cheap, that process can take a sizable bite out of your wallet. But what if there was a way to zero in your firearms in a very brief period of time and without actually having to do any shooting? It turns out there is just a way to do that: by using a laser bore sighter. We’ll cover why you need a laser bore sighter, what to look for in one, and then the best makes and models of laser bore sighters currently available. The previous method of bore sighting was actually rather simple: you would need to remove the bolt from the rifle, and then peer through the bore at the target. Then, while holding the rifle steady, you would need to peer through the scope, and adjust the windage and elevation until the center of the reticle was right over the center of the target. Fortunately, laser bore sighters make the process even simpler, because the laser replaces the need to have to conduct the manual inspection yourself. No longer will you need to remove the bolt or even peer through the scope in order to zero in on your target. Instead, you just place the sighter inside of your barrel and close the action. The laser will then emit from the end of the barrel and to your target. Granted, you will need a reflective target in order to reflect the laser beam, but still the process is very easy. You would then need to adjust the crosshairs of your scope until they are centered towards the dot of the laser. The first thing to know with a laser bore sighter is that spending more money will usually buy you a higher quality product. Furthermore, the more expensive kinds of laser bore sighters also commonly come installed with additional features, such as the ability to fit in most calibers of gun barrels. 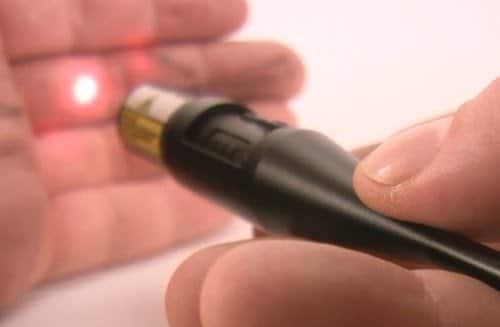 Something else that you will definitely want in a laser bore sighter is a high quality laser beam. The beam should be intense and colorful, and most come in either red or green. Red is the more common option, and they are also cheaper. But whereas red lasers are highly visible during nighttime, the same cannot always be said during the day. Green, in contrast to this, will work just as well for you during the day as it will remain highly visible. But on the flip side of things, green laser bore sighters are also almost always priced higher as well. Finally, the next primary feature that you will want in a laser bore sighter is battery life. The longer the battery life, the better. The last thing you want to have happen here is to be sighting in your rifles only to get a ‘low battery’ warning and for the sighter to shut off afterwards. Bushnell is a company more well known for their scopes and optics then they are their laser bore sighters. Nonetheless, the Professional BoreSighter is an excellent option for the money, and can be used for any guns from .22 to .45 caliber, and is suitable for several types of rifles, pistols, revolvers, and even muzzleloaders. Designed to be zeroed out to one hundred yards, the Professional BoreSighter has three arbor that fit into the arbor’s locking nut. You will first need to place the arbor into the bore sighter and screw it on, before pushing the opposite end of the arbor into the muzzle. You can then look through the scope and align it up with the laser accordingly. Every graduation out at one hundred yards equates to four inches. 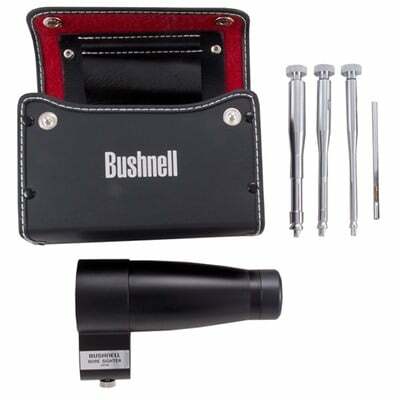 One of the best benefits to the Bushnell Professional BoreSighter is that it does not require batters in order to operate, which is a major plus. But it’s biggest negative, on the other hand, is that it does not work with AR-rifles. The Sightmark Laser Chamber Boresighter offers you the primary benefit of being able to zero in your from short distances of fifteen yards out to longer distances of one hundred yards or so. It uses a red laser beam in order to accomplish this task. The Laser Chamber Boresighter is also unique in that it’s not a universal bore sighter that can fit all or several types of guns, but rather, it is offered by the caliber. This means that you would have to purchase a separate Laser Chamber Boresighter for your .223 and for your .30-06, for example. But that’s not the only way that this bore sighter is unique. Most laser bore sighters fit into the muzzle of the rifle. Instead, this one fits into the chamber. Sightmark claims this is better because there is a better alignment with the bore of the gun. 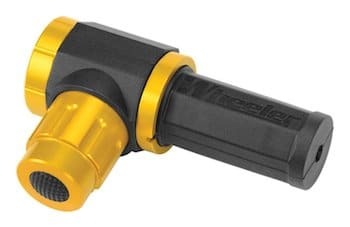 This bore sighter is powered using AG3 batteries, which are designed to last for only one hour, which isn’t a very positive thing if you’re someone who likes to take their time. One of the negatives to AG3 batteries is they are hard to find, and almost always they are only available in battery packs rather than individually (though thankfully, batteries are shipped with the product. Are you willing to put the money down for a more expensive laser bore sighter with maximum features? If so, your first choice should be the Wheeler Professional BoreSighter. You’ll definitely get what you pay for with this laser bore sighter as it comes with many different features. For example, it offers you the choice between both a red laser and a green laser instead of having to have just one or the other. 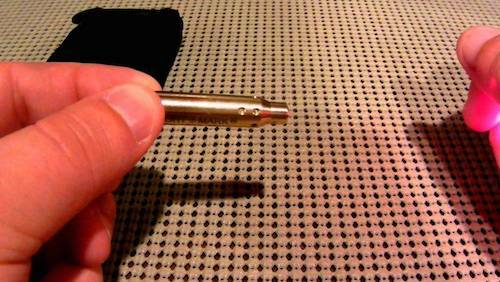 Furthermore, the Wheeler Professional BoreSighter does not need to be inserted into the muzzle of the rifle. Instead, it attaches to the outer barrel of the rifle using a magnet that ships with the product. This is awesome because it means that you can attach it to the outside barrel of literally any firearm that you choose. 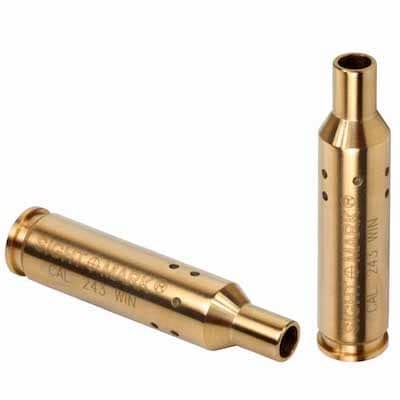 No longer will you need to wore about bore sighters fitting in with your caliber. Built out of a durable aluminum with a soft rubber over molding, the Wheeler is also already calibrated out of the box. Most laser bore sighters are not, so that’s certainly a major plus. All in all, this is one of the most versatile and user friendly laser bore sighters on the market, but it commands a premium price that you must be prepared to pay if you want it. The laser bore sighter is probably one of the single most overlooked advancements in the firearms world. Is there any easier way to zero in a firearm? If you’re looking for a rapid way to sight in your rifle, handgun, or muzzleloader, a laser bore sighter is absolutely the right way to go. Just by placing the bore sighter into the gun, activating the laser, and aiming it at a target, it is possible to zero in your rifle without having to fire a single shot. In fact, you may not even have to pay a visit to a shooting range. Yes, a laser bore sighter will allow you to sight in your firearms from the comfort of your own home, and that’s just awesome.